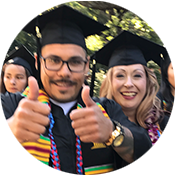 Gavilan College Health Services provides Health Education and information to additional services and programs in the community and on campus. We also host health education presentations and campus-wide events like the Health Faire, Great American Smoke-Out, and World AIDS Day. Health Services integrates all the elements of a student’s life: physical, emotional, spiritual, social, and intellectual. Our e-zine Student Health 101 is a valuable resource for health and wellness as well as current information about specific programs and services on campus. The Student Health Fee provides resources for offering these events and support. Thank you Gavilan students! We are here to help you succeed and thrive. The Health Services clerk is located in the Student Center building in SC 125, near the Counseling Offices 24 hours a week. Office hours Mon-Thurs 9:00am-2:00pm Fri 8:00am-12:pm. 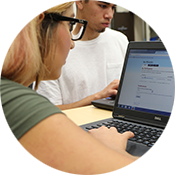 e-mail healthclerk@gavilan.edu. You can call, email us or just drop in. Extensive Health Services are not provided on campus, but we will provide information where possible. Smoking at Gavilan College is only allowed in designated smoking areas. When you visit the Student Health Center, you have the right to privacy, respect and confidentiality and will be treated with dignity. All records are confidential and cannot be released to ANYONE without your written consent. The only exception is subpoena by court order or when information is required by public health law. In addition to the services provided by the Student Health Center, your health fee includes accident insurance coverage for you while you are attending classes, or college-sponsored activities which are authorized and supervised. This is a secondary insurance, which means you must submit any claims to your private insurance before this policy applies. If you sustain an injury which you think may be covered, it should be reported to the supervising college employee immediately and then to Health Services within 24 hours or as soon as possible. If you face both economic and educational challenges, you may qualify for EOPS. Discovery Counseling Services – Ask the Counseling support office for an appointment.